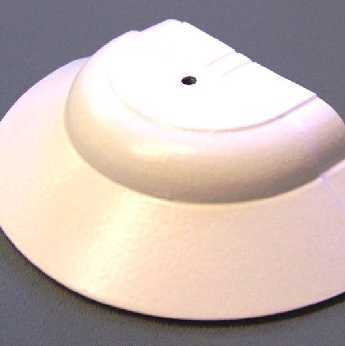 This is a powder coated cast aluminium semi-circular spider/boss to be used with the Aluminium Ridge Capping. This is used on Victorian or Ewardian style conservatories to cover the top of the glazing bars. If you are using hip bars it may be better to use the deeper uPVC spider/boss. The aluminium spider is available in white and brown. I would recommend your affordable products (Glazed Roof Components | Aluminium Rafter Supported Glazing Bars | Aluminium Spider (semi-circular) for Aluminium Ridge Cap) to anyone else considering this product, as it has been superb. Omega Build Shop | Glazed Roof Components | Aluminium Rafter Supported Glazing Bars | Aluminium Spider (semi-circular) for Aluminium Ridge Cap. You are viewing Glazed Roof Components | Aluminium Rafter Supported Glazing Bars | Aluminium Spider (semi-circular) for Aluminium Ridge Cap, buy online today!